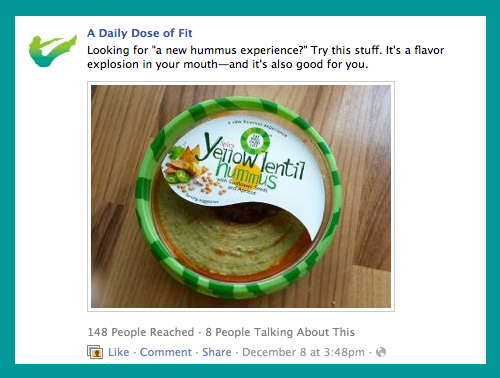 Obviously, it's not a secret that I love hummus. I love making it, I love ordering it at restaurants and I will certainly fork over the cash to buy it at the grocery store. That's where I came across the stuff you see above. Eat Well Enjoy Life Spicy Yellow Lentil Hummus with Sunflower Seeds and Apricots. Sold. And subsequently in love. For real, it's good. And totally good for you. I've really been trying to eat more lentils lately, so when I saw them in hummus form with some not-so-traditional toppings—it truly was an easy decision and to the checkout counter I went. Obviously the beans (lentils, white beans or edamame) replace the chickpeas featured in more traditional hummus recipes, but the tahini is still there. As is the texture. Certainly the flavor, too. Eat Well Enjoy Life sent me an overabundance of tubs to try out, featuring at least one of every flavor variety. ...but we couldn't possibly make our way through all of it before the use-by date, so I brought one of each flavor to my parents' house for Christmas this past weekend. It was my healthy contribution to the appetizer spread. But even if I've gotten the names all wrong, all you really need to know is that each flavor is delicious in every way possible. I toggled between all of them. Even the three made out of edamame. I'm not the biggest fan of edamame, which are baby soybeans, because soy based products usually give me issues—I had no issues with these concoctions, other than I couldn't stop eating them. Again, at least it's good for me. So, today's lesson: Next time you're on the hunt for some hummus or if you're looking for an appetizer for your New Year's Eve get-together, go beyond the traditional mix and buy a bean-based version such as the one above. Treat yourself to all that the lean beans have to offer. Trust me, you won't even realize how healthy you're eating. Eat Well Enjoy Life hummus offers what every other tub out there does...and more, given their distinct flavor varieties. CLICK HERE to find it in your town. And be sure to follow Eat Well Enjoy Life on Facebook—you never know when they'll roll out a new flavor!